Four people’s organizations (P.O. 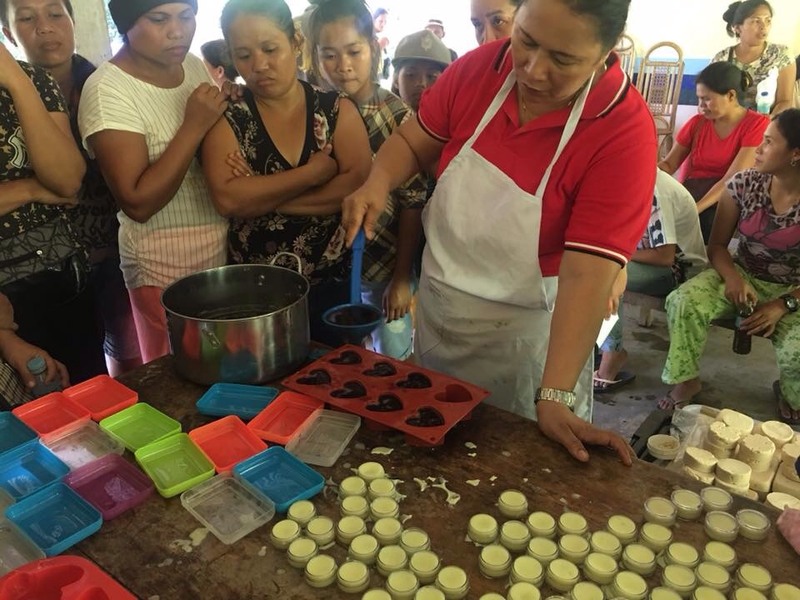 ), a total of 71 people, in Sarangani underwent training in product development for alternative livelihood opportunities by Meriam Santos, herbalist and “Amazing Tea” innovator. Facilitated by ABS-CBN Lingkod Kapamilya Foundation – Bantay Kalikasan and Sulong Tribu Program of Governor Steve Solon, the training helped the people’s organizations how to make organic products like cacao soap, gugo shampoo, lemon grass, citronella liniment and vaporizing rub, and Marigold and Kakawate Ointment. 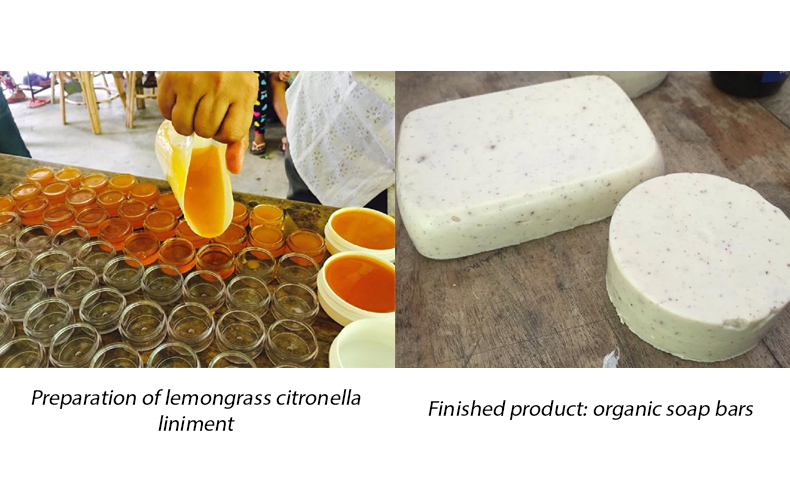 The training will help the communities come up with alternative livelihood opportunities to complement their existing eco-tourism projects and provide additional income while maximizing the benefits of natural ingredients available in their community. These products can be sold by the people’s organizations with the help of the Sarangani’s local government as their alternative livelihood. Women of P.O.s look at Meriam Santos while teaching them how to prepare the organic soap bars. The same livelihood training was facilitated by Santos in Sibuyan, Romblon where 10 members of Canjalon Agrarian Reform Cooperative participated. Sarangani and Sibuyan are just two among Bantay Kalikasan’s 14 eco tourism sites. Bantay Kalikasan continues to create model communities through empowering people while being advocates of environmental stewardship.